Surrounded on three sides by towering peaks, this former penal colony on the banks of the Beagle Channel is spectacularly sited amidst waterfalls, glaciers, and beech forests. 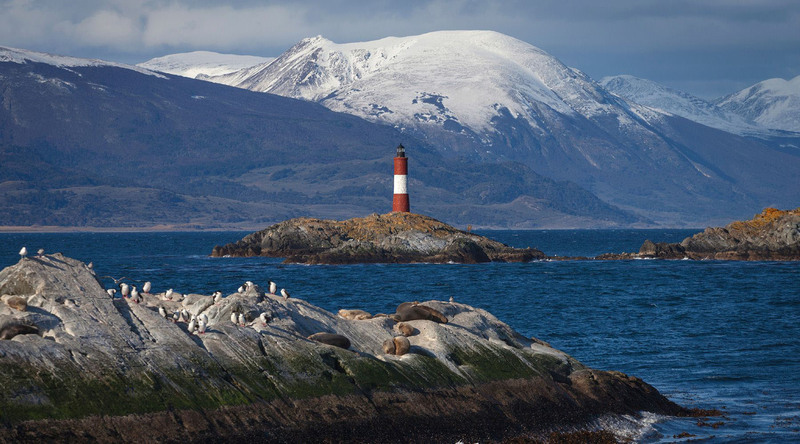 Alive with marine life offshore, Ushuaia has fully embraced its reputation as a hub of outdoor adventure at the tip of Argentina. This is the southern extreme of Tierra del Fuego, a national park with hiking trails and walking paths through thick forests, inhabited by native birds and beavers, where seals, sea lions, and sea birds can be found in abundance. The channel is named for HMS Beagle, which sailed these waters with a young Charles Darwin aboard. It was during that voyage that he began to formulate his theories of evolution. Considered the southernmost city in the world, Ushuaia is home to a surprising array of restaurants and bars from Turkish cuisine to traditional Irish pubs—and all offer exceptional views of the Beagle Channel. Sample a fresh local favorite, king crab pie (chupe de centolla) and pair it with a calafate sour, the Patagonian version of a pisco sour using local calafate berries. Ready to see South America in style aboard our newest ship, the Azamara Pursuit℠? Explore our exciting itineraries and see a whole new world #AzaLocal. This art project in the middle of a city park is not only a relaxing refuge, it’s also a space for the local indigenous population to construct beautiful artisan creations. Find these crafts on display in the park’s art center, as well as along the many scenic hiking trails. Take a hike! Close to the city, after this intermediate trek you’ll be rewarded with sweeping views of Ushuaia and the Beagle Channel beyond. You can also opt to take a panoramic chair lift ride up the glacier if you desire a more leisurely excursion. Once known as The Prison at the End of the World, this former military prison is now home to the Maritime Museum of Ushuaia. Explore the region’s seafaring past, unique exhibits housed in prisoner cells, as well as an Antarctic expedition area showcasing famous intrepid explorers such as Amundsen, Scott, and Shackleton.